ps: I am a very, very lucky cat because on today's PetMeds Pet Talk blog, I get to try out some delicious new food! ROFLMAO, That is so funny. That is a good one Harley. That is one of your very best. Take care. Oh dear. We wonder how this will turn out. MOL.....we think this is going to be interesting!! it's good to see someone's watching over that elevator. MOL! Is that Ceiling Cat?? psst Harley - I think you were supposed to push the other button over there. Thanks for the funny, adorable kittehz and have a great Monday! OMG!!! 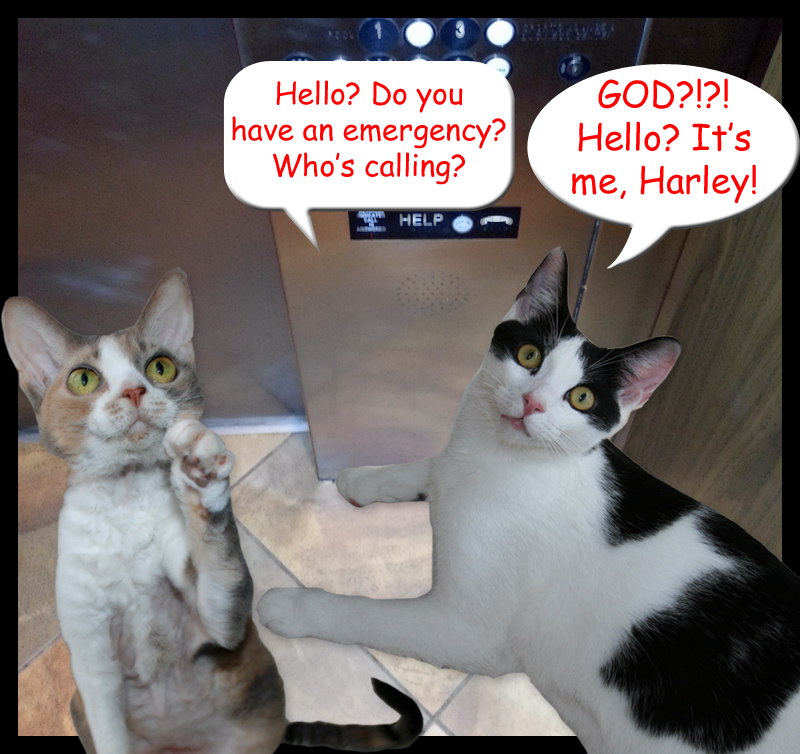 Does God live in the elevator??? Oh Harley...does mommy even have to say how she loves you? This looks like a grand adventure! MOL! I think you pushed the wrong button Harley. Good thing it's not like the elevator in Charlie and the Chocolate Factory! 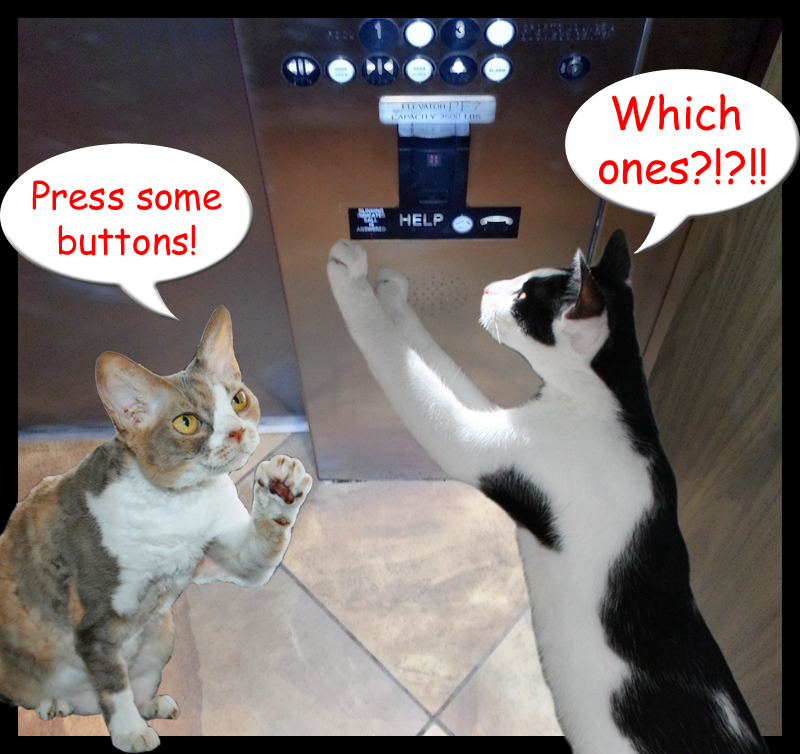 Oh boy, I bet elevators are fun! Be careful too, please. :) Ask your Mom to go with you. WOW! 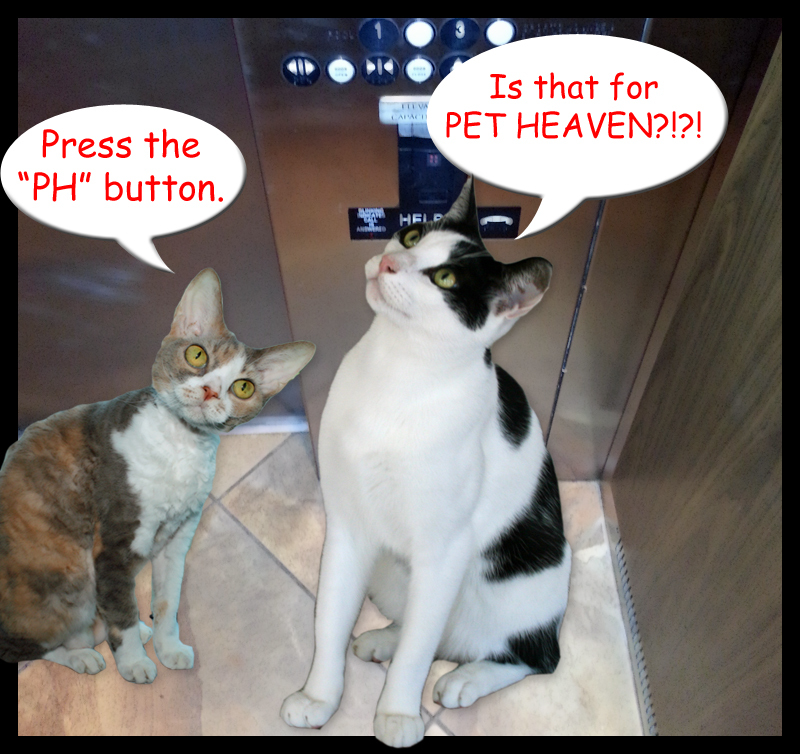 You guys have your very own elevator?? And, it goes to Heaven?? Cool. Um, it doesn't go in the other direction does it? kitties isn't there a rool that no kitties on elevator without hoomin supervision? Quick Daisy, push all the buttons then jump out before the door closes. 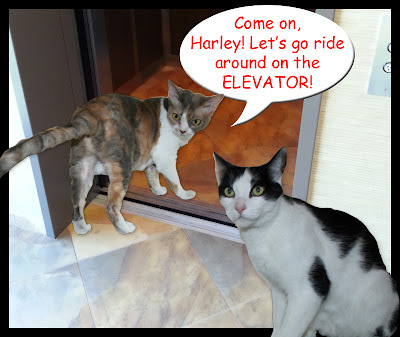 Harley will have quite a trip! MOL! Push more buttons, quick!! !